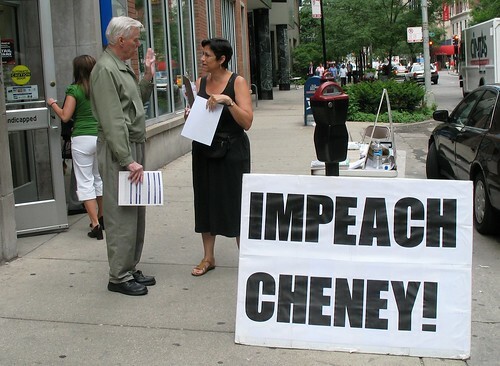 Persistence did not pay off for some LaRouche followers who were yap-yapping about how LaRouche can save the universe from the Baby Boomers, and how only he can save us all from imminent economic disaster – oh – and yeah – he will impeach Cheney too by the way. I stopped to point out the Cheney-doings of Patrick Fitzgerald the United States attorney in Chicago. This lady answered, "Who's Pat Fitzgerald?"